Enfamil – Enroll in the Enfamil Family Beginnings program to receive great information, free offers, and retail checks. You can sign up online or call them at 1 800-BABY123. Goodnites Underpants – Get free samples, coupons and bedwetting information. Heinz – Nutritional information, coupons and special offers. Enter in a drawing for a year’s worth of baby food. Only available to Canadian residents. US residents call 1 800-USA-BABY. Huggies – Get special offers and coupons in the and sign up to win FREE diapers. Similac – Sign up for the Welcome Addition Club and get a FREE case of formula, coupons and plenty of great information. These listings for baby coupons are updated on a regular basis. We Please be advised that BabyChatter.com has no control of and takes no responsibility for any offers on other sites. 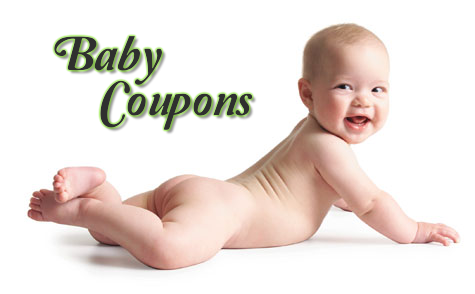 Regularly updated baby coupons for diapers, baby wipes, baby formula, just about every thing baby related. Get most current baby coupons.